Stephen Paterson began painting in 1984 and has established himself as an artist of considerable talent. 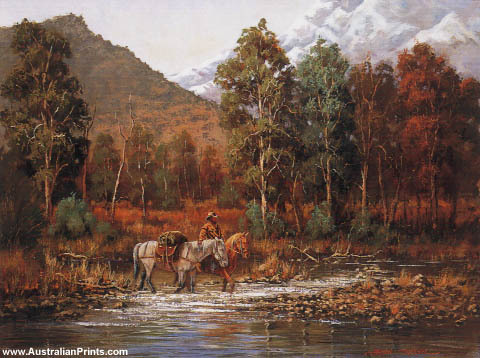 Born in Sydney, Paterson moved with his family to Far North Queensland when he was a young boy. It was at this time that his passion for horses and wildlife developed. Having left school at fifteen and being a musician for several years, Paterson dabbled in oils as a hobby, painting mostly landscapes. While living on Magnetic Island he became friends with two local artists who invited him to their studios where they discussed art extensively, and these conversations inevitably inspired him to paint full time. 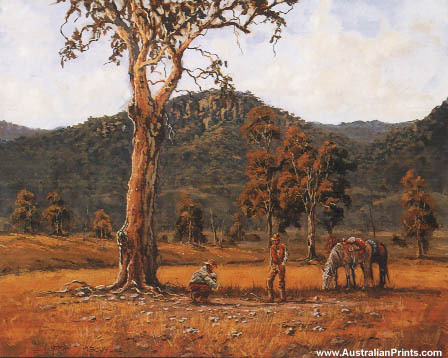 It is this artist’s personal vision to depict Australia in all its weatherbeaten glory. 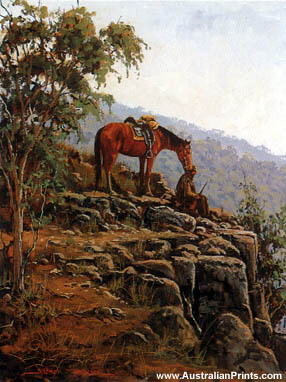 Paterson’s work can be defined as atmospheric, conveying distance and the antiquity of Australians toiling on the land; he believes this is his true speciality. Artist information page for Stephen Paterson.